Is your vehicle's air conditioning or heating system not keeping up with the weather? Don't let the temperature in your vehicle make you miserable. Come visit Reliable Automotive in St Louis, MO 63137 and we'll get you comfortable again. Even if your heat or A/C is working at reduced efficiency, it's still worth a visit to Reliable Automotive. That's because heating and A/C systems may break eventually with usage, and hose pipes may clog and drip if not serviced. Let us examine your vehicle and keep your systems working at top performance. Call us at 314-733-5455 to learn more about how we can get your air conditioning or heating up and running again! Have you been sweltering in your vehicle lately? Perhaps your car's air conditioner isn't functioning properly. At Reliable Automotive we have qualified service professionals who can fix your air conditioner. 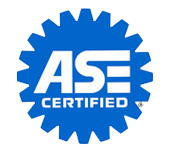 To have an air conditioning system serviced, repaired, or replaced by experts consider visiting Reliable Automotive. You can also call us at 314-733-5455 with any questions relating to your vehicle's air conditioner. Radiators are heat exchangers for cooling your car's internal combustion engine. A radiator cools the engine by circulating an engine coolant through the engine block - it then loses the heat to the atmosphere through radiation. A radiator has a set of tubes through which the engine coolant flows. Fins surround these tubes. When the radiator fails, the excess heat produced by the engine could damage the engine components. To prevent this from happening, have your radiator serviced regularly. To have your radiator needs handled by experts, visit Reliable Automotive today.